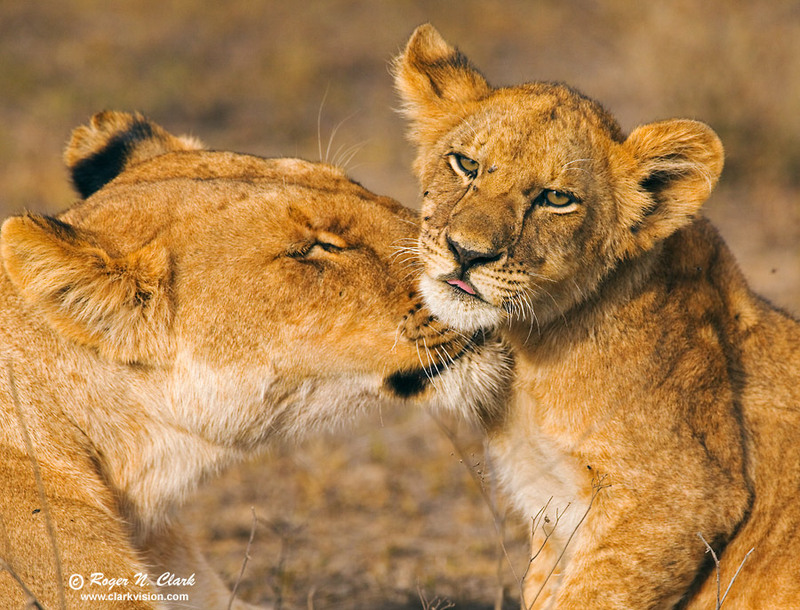 A mother lion and her cub have an intimate moment in the late afternoon on the Serengeti, Tanzania. Ngorongoro Conservation Area. Technical. Canon 5D Mark II 21-megapixel camera, Canon 500 mm f/4 L IS lens + 1.4x Teleconverter, 700 mm at f/8, ISO 400, 1/1250 second. Meter -2/3 stop. Full height image, crop to 16x21 proportion.